This Painless 28 circuit kit will provide you with all those power accessory circuits you have been looking to add to your pickup chassis. You'll find that the ample wire lengths make this kit especially suited for trucks with long beds and extended cabs. 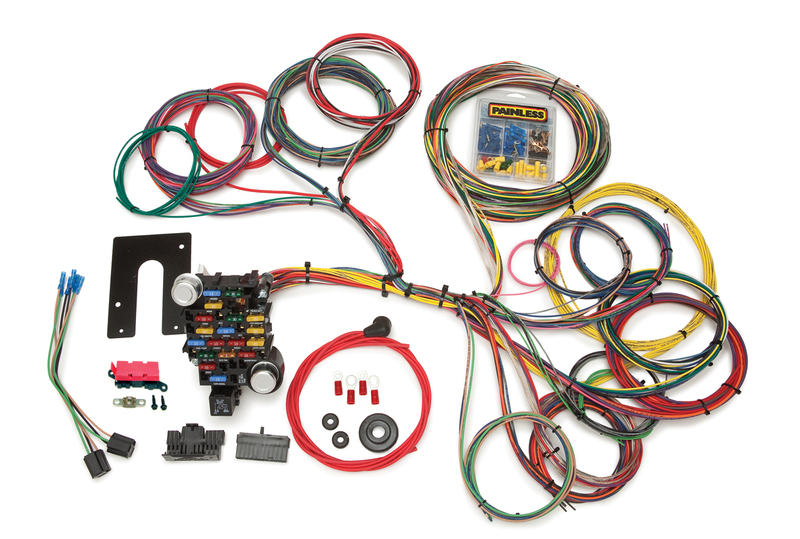 This wiring harness has open-ended ignition switch wiring that is easily adapted to any ignition switch. If using a GM Keyed Column, use part number 10203. Included with this harness are the following parts; a GM engineered fuse block & Painless mounting bracket; GM turn signal connectors; pre wire plugs for the headlights & dimmer switch; and each wire is custom printed with the circuit identification as well as using GM color codes for easy installation.